Enjoy “Fun in the Sun” at Sarasota’s Grand Prix Race!! Key West, (June 16, 2010) – Super Boats are set to hit the Sarasota coast this 4 the of July weekend for the 26th annual Suncoast Super Boat Grand Prix Festival. Super Boat International (SBI) is excited to host one of the most famed events in powerboat racing alongside Suncoast Charities for Children. This year’s event is expected to have a record crowd and a very competitive fleet of offshore race teams. In addition to the scheduled offshore races, SBI will be clocking boats on Friday July 2nd during Kilo speed record attempts. Al Copeland Jr.’s 50’ Phenomenon is one of the premier boats attempting to set a record two-way average over the current SBI Kilo world record-holder (Bacardi Silver). Currently, the fastest and oldest standing record for the Superboat Unlimited Class is the 36’ Bacardi Silver Skater at 198.03 mph set in August 2003.
celebration race and they are ready to go. Al Copeland Jr. unveiled his new quad turbine powered super boat in Key West this past November during the World Championships. The team has been testing and getting ready for their record attempt debut. Teams running in the SBI Kilo’s are attempting to break records in their particular classes. The distance is a kilometer and, to break the record, they must pass through the start and finish markers twice (upstream and downstream) with an average speed exceeding the current record. Teams are broken down in multiple classes based on size, engines and horsepower. Typically a dozen or more teams set up their boats and attempt record runs. Starting Thursday, July 2, fans can join SBI on Main Street for the Parade of Boats at 7:00 pm. On Friday, July 3, from 7:00 am to Noon select teams will take to Sarasota Bay, in front of Ringling Museum, for the SBI Kilo World Speed Record Event. That same evening, the World’s Largest Offshore Party starts at 8:00 pm at the Hyatt Regency Sarasota for teams, drivers, and fans. Powerboats By The Bay will feature race teams on display Friday, July 2, and Saturday, July 3, from 10 am until 9 pm. Admission is free and open to the general public. On Saturday, July 3, from Noon to 5:00 pm teams will set-up and crane their boats in for testing. On Sunday, July 4, two race heats are scheduled at 11:00 am and 1:00 pm respectively off Lido Beach. Fans can also view the race from a live simulcast at Powerboats By The Bay and join winning teams at the Sarasota Municipal Auditorium for the Race Awards Ceremony beginning at 5:00 pm. For details, visit superboat.com or suncoastoffshore.org. Super Boat racing and events have never been more important than they are today. SBI events bring a weekend of excitement and economic success to strong cities and some cities that are reeling from difficult times. SBI has expanded their 2010 summer schedule by adding an event in Cocoa Beach, Florida this August. 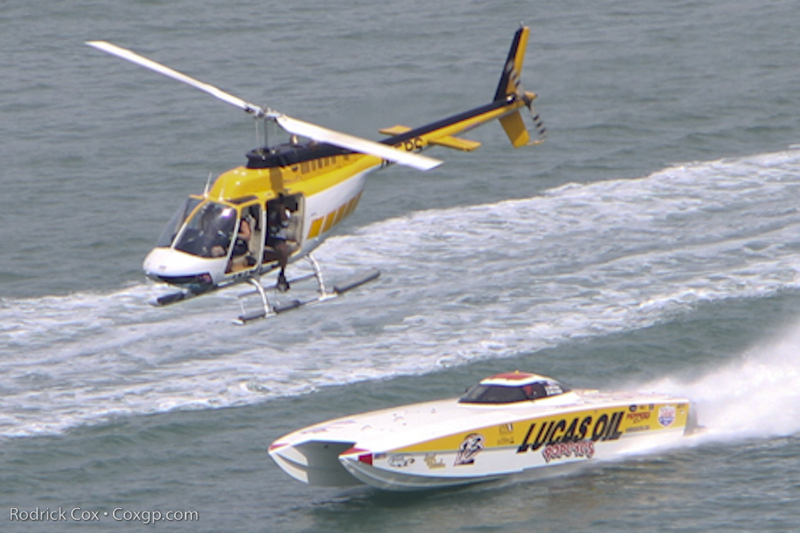 Super Boat is the premier sanctioning body of offshore powerboat racing. The August addition to the 2010 racing schedule makes a total of 8 National Series point races and the final event, The Key West World Championships. These 9 scheduled events for the 2010 racing season enables Super Boat International to claim the largest (and best) schedule of offshore Super Boat powerboat racing around the world. About Super Boat International Super Boat International (SBI) is the longest running professional offshore racing organization in North America. SBI President and Founder, John Carbonell produces races, kilo speed events and distance attempts all across the United States. In 2010, Super Boat International recognizes the 30th running of the famed Key West World Championships and their 20th anniversary as Super Boat International Productions.